Decorate your table with a bullfighter's mini cloak. 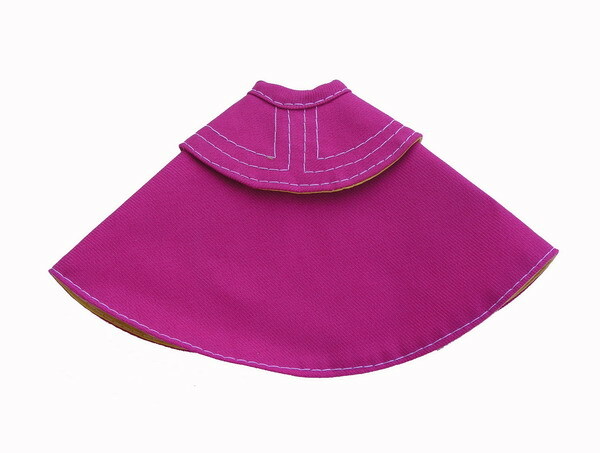 This mini cloak has a classical cut and it is hand-sewed. The front part which is offered to the bull is in fuchsia colour and the interior in yellow colour. It has an elastic band, useful if you want to hang it on the rear-view mirror of your car or to give it another use. Just as a curiosity, we inform you that the cloak is used both by the bullfighter as by his subordinates to receive the bull when entering the bullring. The bullfighter's cloak, used to evade and to tease the bull, is quite heavy. To bullfight with the cloak corresponds to the bullfighter in the third stage of ''varas'' and ''banderillas'' (special sticks used only for bullfights). Bullfighter's subordinates ("banderilleros") use the cloak during the whole bullfighting show.